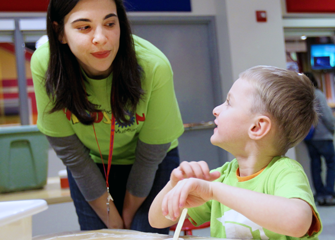 Our Museum educators design programs that address state and national science and technology education standards. Check out individual program descriptions to learn more about the Michigan Grade Level Content Expectations addressed by each program. Click here to sign up for our Education Newsletter. Click here to view our Education Brochure. Visit www.unityinlearning.org to open a gateway to hands-on discovery, exploration of the natural world, and experiences that take flight. Ever wonder why you can smell, hear, taste, see, and feel? Come find out how your senses help you to discover the world around you. Students will explore their senses with 5 hands-on activities. Register today! Can you catch the wind? Discover how wind is harnessed and transformed electricity! In this workshop students will build a hand turbine and anemometer to help understand effective design for wind power generators. Topics covered include potential and kinetic energy, electrical energy and energy transformation. Register today! Catch some air as you learn about the history of the parachute! See examples of early and modern parachutes, then create and test your very own! Register today! Leslie Science & Nature Center joins us with LIVE reptiles in our lab as we explore what makes a reptile a reptile. Feel the snake or lizard skin specimens we send you while you learn the adaptations that make these animals so successful in the wild. Register today! Together with the Leslie Science & Nature Center, we will create a food chain using LIVE animals (hawk/owl, snake, frog, spider and roach). Along the way we will discuss how they survive in the wild. Register today! We will explore our smoky cauldron and mysterious concoctions as we make two types of slime with students. Younger students use their slime to investigate three states of matter. Older students investigate the properties of polymers. Gooey concoctions are perfect for Halloween fun! Award-winning program! Register today! 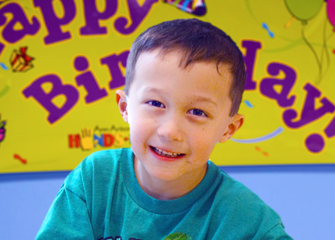 Our most popular program goes PRESCHOOL! We talk about using your senses, making observations and Solids, Liquids and Gasses in this fun program for PreK students. Make one slime on camera with our educators, and we'll send you the supplies needed for a second slime sensory bin and further exploration. Award-winning program! Register today! Behave like molecules in solids, liquids and gases. 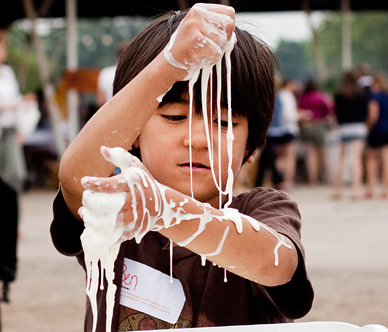 Explore three states of matter by making two types of slime. Older students will learn about the properties of polymers. Award-winning program! Register today! 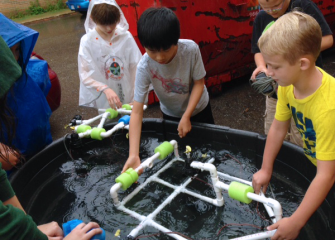 Students will learn about animal adaptations to extreme weather with hands-on experiments and even take a virtual trip to Antarctica. 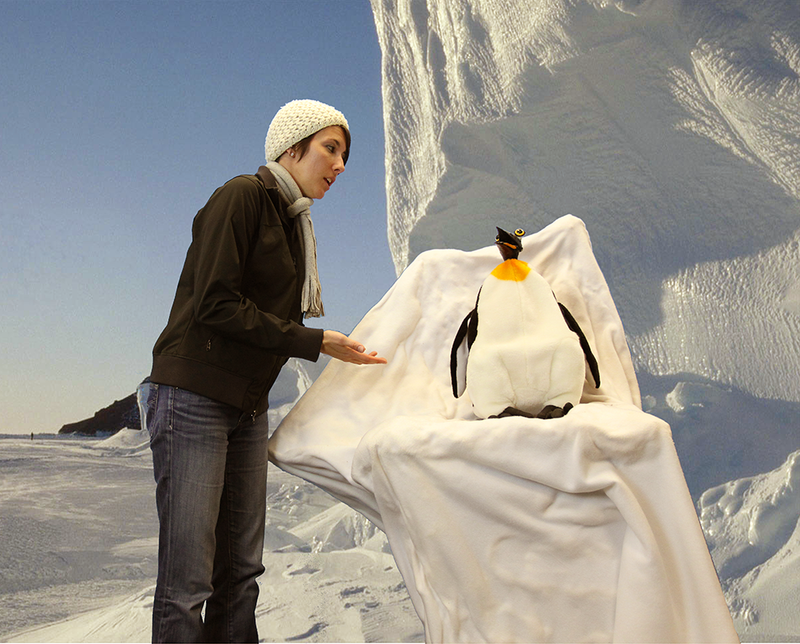 Join us as we learn how animals such as penguins live and have babies during extreme weather. Award-winning program! Register today! 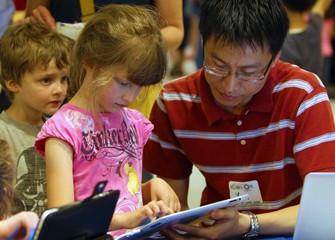 Together we’ll take a look at actual fossils and discuss how you can find the clues that they hide and how to interpret their stories that unfolded millions of years ago. 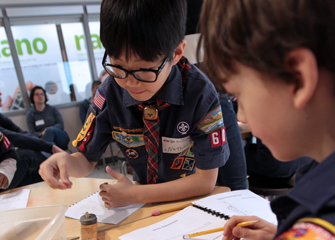 Invent your own prehistoric animals, follow along in the story of fossilization, and discuss fossil finds like real paleontologists. Award-winning program! Register today! It’s the fraction game show! Students will find out how much they know about fractions as they work together to survive three rounds while constructing, observing and dancing to solve math problems. Fractions can be fun! Award-winning program! Register today! Get up close to owls as an avian expert from Leslie Science & Nature Center (Ann Arbor, MI) uses live birds to compare and contrast the characteristics of different owl species. Learn how owls have adapted to a predatory way of life. Dissect real owl pellets to investigate the diet of a barn owl. Learn about food chains and the role of avian predators in an ecosystem. Gain an introduction to skeletal anatomy and prey identification. Award-winning program! Register today! Get your goggles on! Dissect a cow's eye to understand how each structure works together to provide the sense of sight, just like your human eye. After the program, work with your class on a series of optical illusions to see how your eyes and brain work together to bring you visual messages. Award-winning program! Register today!